Fishing tournaments in Alabama are not only fun (and lucrative) for anglers, but also bring a lot of business to the communities where they take place as anglers make use of accommodations, restaurants, grocery stores, bars, gas stations, marinas, tackle shops and lots more. In bass-crazy Alabama, the vast majority of tournaments are aimed at largemouths, and there are hundreds of these events across the state every year. But the state also has an impressive coastal fishery for a wide variety of species both inshore and offshore and though saltwater tournaments are fewer in number, some of them are huge in terms of the number of participants, fishing quality and the impact on local communities. Alabama’s coastline is part of the Gulf’s “fertile fisheries crescent,” an area between the mouth of Mobile Bay and Louisiana where nutrient-rich water flows in from rivers large and small, including the Mississippi River. The Mobile River system, which drains into Mobile Bay, is the third largest system in the nation by volume, draining parts of four states. The result is a high nutrient estuary loaded with shrimp, menhaden, mullet and other forage species, which produce impressive populations of fat, healthy gamefish both inshore and off, creating a great venue for some highly-competitive angling events. The Alabama Coastal Fishermen’s Association represents one end of the tournament scale, with monthly events for club members beginning in March and extending through fall each year. Click here to see their 2019 schedule. The Flora Bama Fishing Rodeo might be the most fun Gulf Coast Fishing Rodeo of them all. Photo by Frank Sargeant. The Mobile Big Game Fishing Club also hosts members-only events, ($150 yearly membership plus one-time $500 initiation fee) from Memorial Day to Labor Day. Although many who participate are big-boat owners, some events also have a special outboards-only division. 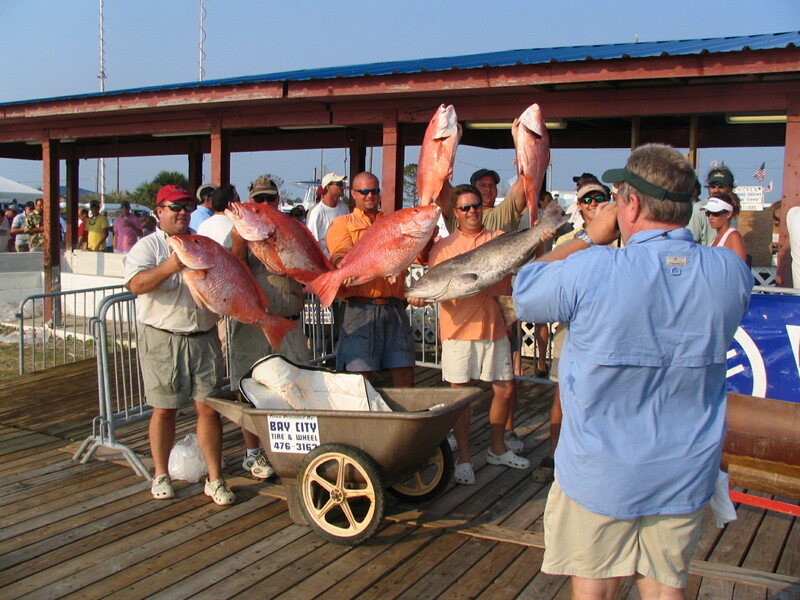 When it comes to participation, the Alabama Deep Sea Fishing Rodeo out of Dauphin Island, hosted by the Mobile Jaycees, claims to be the largest fishing tournament on the planet, drawing 3,000 anglers and some 75,0000 spectators to Dauphin Island each July. This fishing tournament in Alabama offers close to $1 million in prizes including a random drawing from among all anglers who weigh any legal fish in any of the 30 tournament categories for a 22-foot offshore boat worth nearly $100,000. One neat thing about this event is you don’t need a big boat to participate, despite the “deep sea” designation—there are divisions for trout, reds, sheepshead, flounder and more, and even special “no motor” divisions for kayak/canoe anglers. Basic entry is just $50, and in addition, anglers can choose to participate in jackpot contests for the largest trout, king mackerel, red snapper or big game fish for added fees. When it comes to serious bluewater fishing for the billfishes, there’s also plenty of competition—the offshore waters of Alabama produce some monsters, and draw big boat anglers from all over the Gulf Coast. These are high-roller events with big entry fees and huge payoffs, and they are well-attended by the fortunate folks who play in that atmosphere. The Orange Beach Billfish Classic is May 15-19 this year out of The Wharf in Orange Beach. Entry is $6500 per boat. Last year, 53 boats released 25 blue marlins, six white marlins, and one sailfish while weighing five blue marlins. Prize money last year exceeded $1 million. The OBBC annually is the first big game fishing tournament of the season along the Gulf Coast and is also the first leg of the Gulf Coast Triple Crown Championship. The Blue Marlin Grand Championship of the Gulf, also out of The Wharf in Orange Beach, is set for July 9-14 this year. The event regularly produces fish in excess of 600 pounds, bringing lots of excitement, visitors and money to Orange Beach—and also providing some impressive support for St. Jude Children’s Research Hospital. Last but certainly not least—and maybe the most fun fishing tournament in the entire state of Alabama, is the appropriately named Flora-Bama Fishing Rodeo, held out of the Flora-Bama Lounge and Oyster Bar east of Orange Beach, Alabama, a self-proclaimed “5-Star Honky Tonk” which frequently holds monster concerts featuring the likes of Kenny Chesney and Jimmy Buffet as well as many local musicians. Date of the event this year is May 31-June 2. The tournament will be held at the Flora-Bama Ole River Grill across the street from the Flora-Bama Lounge & Package Store. It’s a three-day captain’s choice tournament with anglers competing for 1st, 2nd, and 3rd place in 40 categories including red snapper. 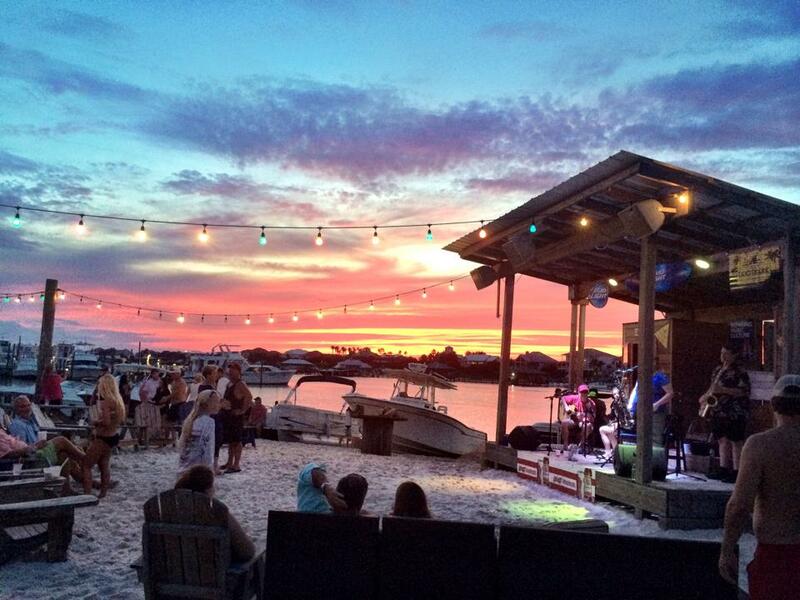 Accompanying the tournament will be a three-day beach party and awards ceremony including daily weigh-ins with a fish-viewing area, live music, food, vendor booths and hospitality done in Flora-Bama fashion. The bar is known for its five entertainment venues, allowing customers to choose live country music, dance, beach music or folk guitar. A portion of ticket sales will be donated to Operation ReConnect – A nonprofit organization geared toward providing combat veterans with well-deserved family vacations. The event gets underway Thursday, May 30 at 6 p.m. with a captain’s party, with fishing Friday and Saturday, May 31 and June 1, and the awards ceremony at the Flora-Bama Yacht Club on Sunday, June 2. 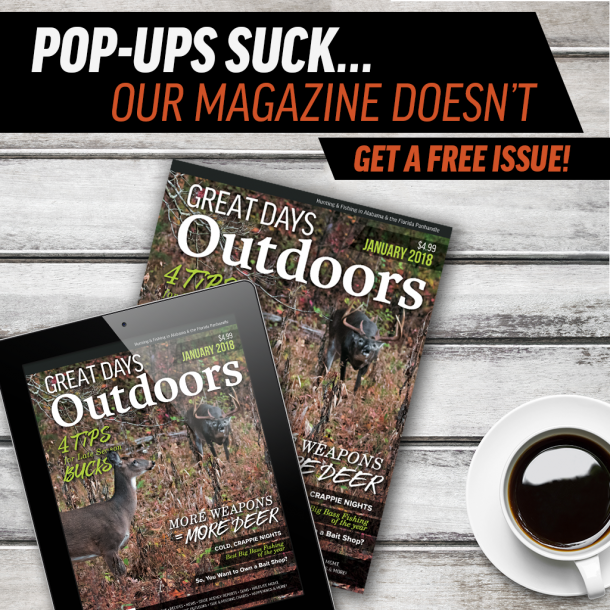 Variable entry fees for various categories allow anglers to bet – – make that “invest” – – as much or as little in their angling skills and the chance for big cash prizes as they wish. Basic adult entry fee is $50. But there are four levels for speckled trout, for example, with entry fees ranging from $25 for the basic level to $200 for the expert level. The red snapper jackpot entry is $100 per team, king mackerel $250 per team, and offshore slam (tuna, dolphin, swordfish, and wahoo) $1,000 per team. The prizes are always a draw, but for this tournament, in particular, it’s more about having a good time at the beach, and maybe bringing home a few fillets as a bonus. If you can’t get there for the tournament, you might consider other events like the annual Mullet Toss, Paddling Contest, Jet Ski Races, Bull Riding Contests (mechanical bulls, that is) frequent bikini contests and a New Year’s Mullet Drop. Frank Sargeant is a retired fishing guide, newspaper writer, magazine journalist, book author, editor, script writer, industry flack and English instructor. In fact, about the only thing he has not retired from is fishing and hunting. His wife asks regularly "How is this different from when you were 'working'?"